Health insurance builds a safety net, in the event that, you or your family members have to undergo an unexpected medical procedure or suddenly falls ill.
One method the government uses to encourage Indians to save and invest a portion of their incomes is by providing tax benefits to the investor. In this light, health insurance is viewed as a peculiar investment where the objective is not the ordinary building of a financial corpus but to protect your other investments from quick degradation occasioned by the need to meet medical expenses from our pockets, that is from our savings and by liquidizing our assets. Health insurance builds a safety net, in the event that, you or your family members have to undergo an unexpected medical procedure or suddenly falls ill. Section 80D of the income tax act provides for income tax exemption of up to Rs 25,000 per annum on your own health insurance. This is only applicable where you pay for your own personal health insurance and not for group or employer-provided health insurance. You can save more off your parent’s Health Insurance. If your parents are senior citizens, the act further allows you to claim an additional income tax exemption of up to Rs. 30,000 per annum. This means that by taking prudent financial precaution against medical emergencies, you can get an exemption of up to Rs. 55,000. Interesting to note (though rare) is that, individual taxpayers who are 60 years or more and are at the same time catering for the health insurance premium for their parents, can claim up to Rs 60,000 exemption in income tax under section 80D. The number of lifestyle diseases is on the rise, for instance, India is infamously known as the world capital for diabetics. It is in this light that many prominent hospitals offer preventative health packages. Section 80D further provides a benefit of up to Rs 5,000 on preventative health check-ups. This is exercised within the top limit of Rs 25,000 or Rs 30,000. For example, if your medical insurance premium is Rs 20,000 and further undertake a health check-up that cost Rs 5,000, you can claim the total of Rs 25,000 under section 80D. Insurers allow for payment of premium in cash, however, the income tax rules prohibits the extension of tax benefit on premium paid in cash. You may, however, pay using other means such as cheque, internet banking, or by credit card to reap on the tax advantage. However, preventive health check-ups paid for in cash are eligible for section 80D benefit. 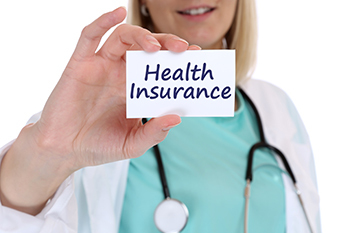 In today’s age of increasing lifestyle ailments and medical costs rising at double the rate of general inflation, investing in health insurance will provide you with the double advantage of a much needed financial cover and great tax saving benefits.